Any comments, suggests or complaints about this website should be addressed to its developer. To view a larger version of any photos on this page just click on the photo. All photos are the property of Lance S. Osborne ( lsosborn@ufl.edu ) and the University of Florida. Please ask permission before using! I would appreciate any comments concerning the content of this page (errors, omissions, etc.). Mealybugs infest a wide range of foliage plants including: Aphelandra, Ardisia, Asparagus ferns, Cryptanthus, Dieffenbachia, Dracaena, False Aralia, Ficus, Gynura, Hoya, Maranta, Nephrolepis and Pothos. Mealybugs are soft-bodied insects also having piercing-sucking mouthparts and they possess a covering of flocculent, white, waxy threads. 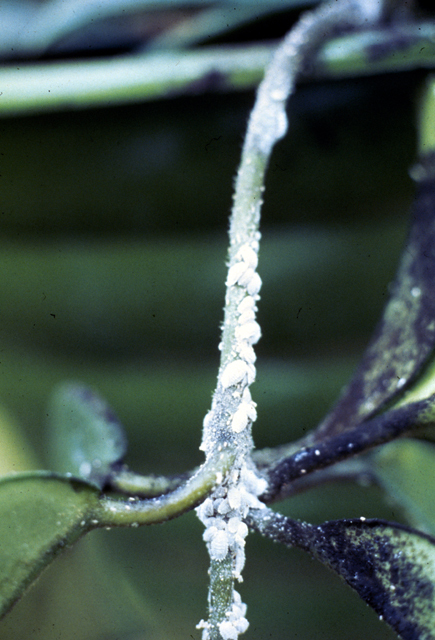 A byproduct of mealybug feeding is sticky honeydew which coats infested foliage, as illustrated by the Hoya pictured in this slide and provides an excellent medium for growth of the black sooty mold fungi. This black coating further renders affected plants unsightly. 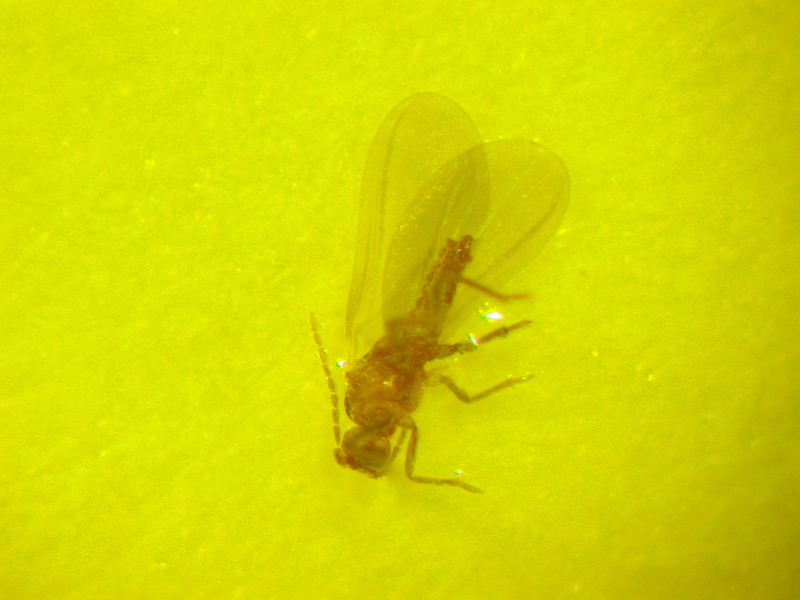 Aphids also produce honeydew and infested plants may also exhibit sooty mold fungi. 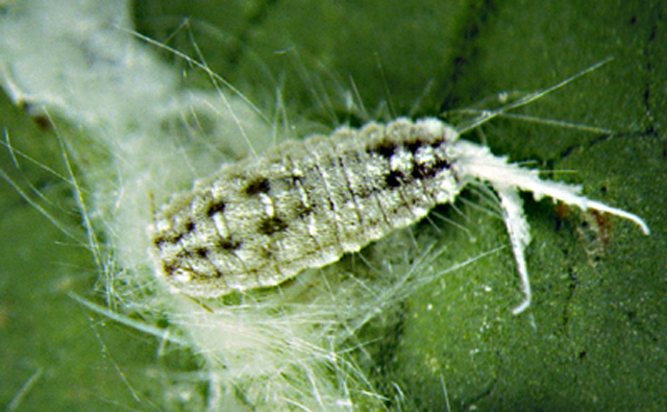 Mealybugs, like aphids, are active throughout most of their life. The longtailed, solanum and citrus mealybugs are the species most often detected in greenhouse environments on foliage plants. 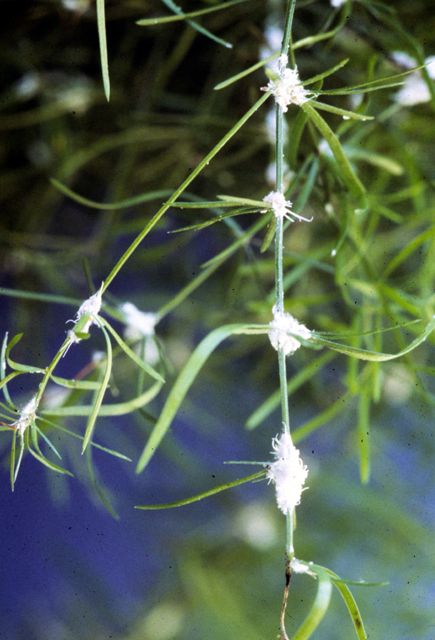 Infestations are frequently visible on the foliage, as with infestation of this asparagus fern. However, at times mealybug infestations may occur within the vegetative shoot apex, and may be extremely difficult to detect. This ability of mealybugs to form dense colonies, particularly within the shoot apex, often makes chemical control of this pest quite difficult. 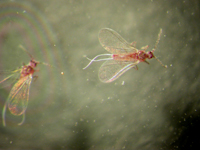 Reproduction under greenhouse conditions is year-round and in certain species by the production of living nymphs or young and often without fertilization. 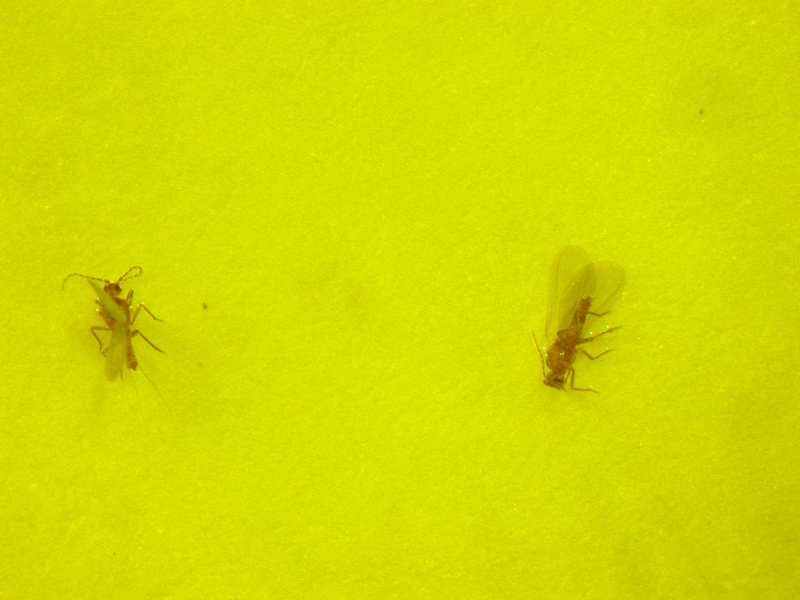 Thus, the escape of a single individual from control efforts may allow the infestation to continue. 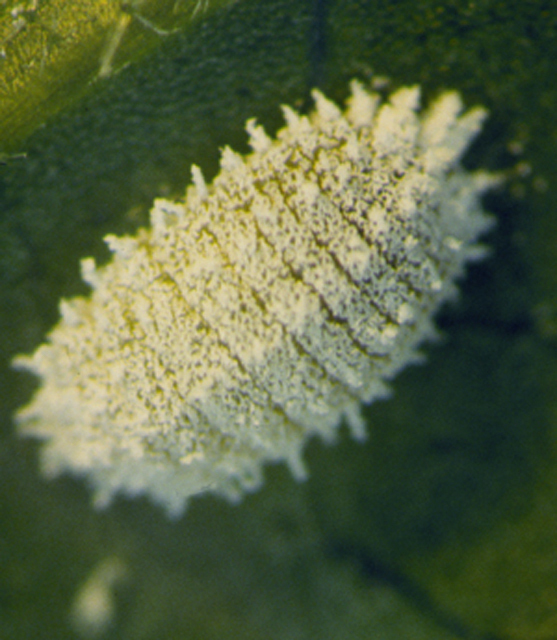 Some mealybug species may produce 100-300 eggs enclosed within an egg sac composed of waxy secretions produced by the female. Again, mealybug developmental time is decreased by the high temperatures often encountered in greenhouse environments. In addition to foliar mealybugs, several small species of mealybugs are found below the soil surface and feed on root and root hairs tissue of numerous tropical foliage plants. 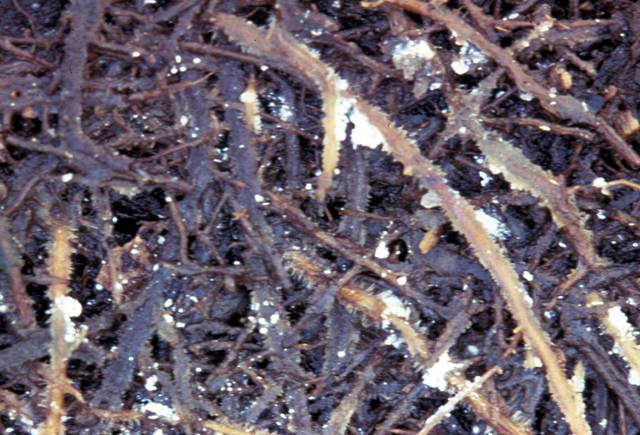 Careful examination of infested roots will reveal white, cotton-like masses as illustrated in this slide. These white masses contain both mature females and eggs. 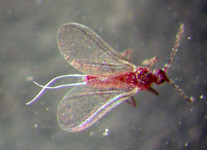 Young root mealybugs or nymphs are active and may crawl from pot to pot via drainage holes, or they can be spread in irrigation water. 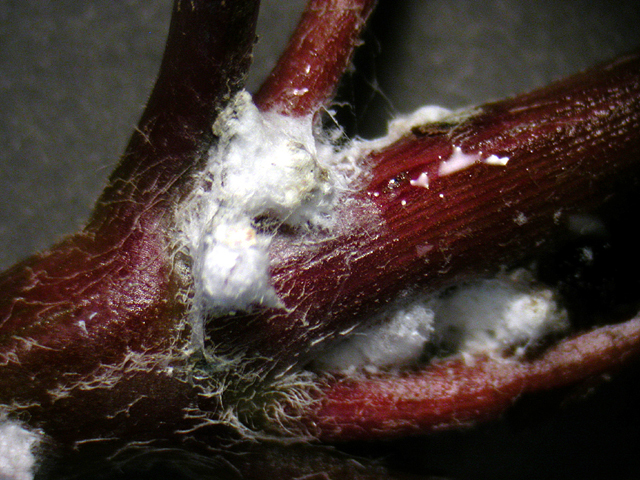 Infestations of root mealybugs are often overlooked until severe and widespread causing reduced plant growth and foliar yellowing or chlorosis. 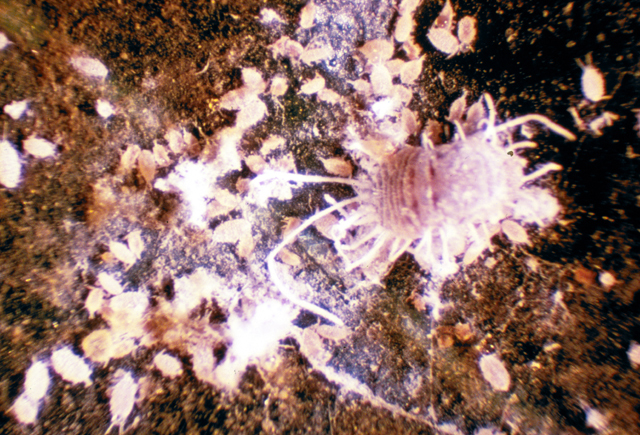 Infestations frequently are not detected as the pests occur in the soil, and populations are quite slow to develop, with 3-6 months occurring before infestations are easily visible. 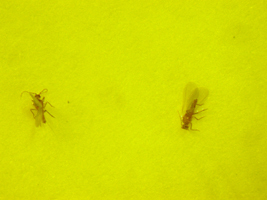 Infestations often begin with the purchase of infested plant material. Therefore, if possible, samples of newly acquired plants should be removed from their containers and the roots inspected. 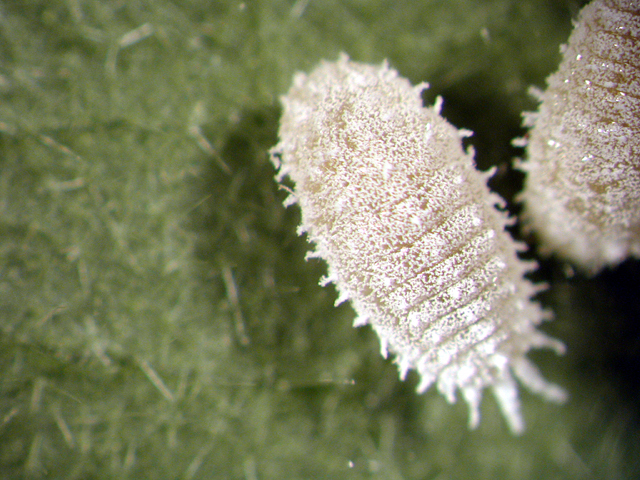 This is the Longtailed mealybug, Pseudococcus longispinus (Targioni-Tozzetti). Notice the long waxy filaments around the body, the long tails and the absence of stripes on the body. This species does not produce an egg mass or ovisac. 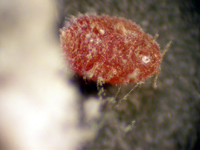 This is the Citrus mealybug, Planococcus citri (Risso). 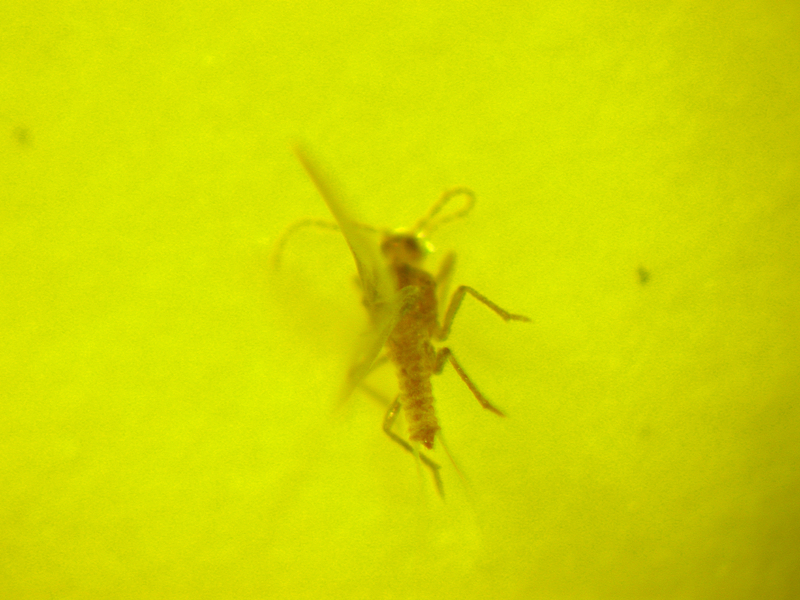 Notice the medium sized waxy filaments around the body, absence of long tails and the single dark stripe down the center of the body. This species produces an egg mass or ovisac. These photographs are of male Citrus mealybugs, Planococcus citri (Risso). Phenacoccus madeirensis Green (Madeira mealybug) is a mealybug that has become important during the last couple years. It has a wide host range. Notice the short waxy filaments around the body, absence of long tails and the absence of a single dark stripe down the center of the body. This species produces an egg mass or ovisac. 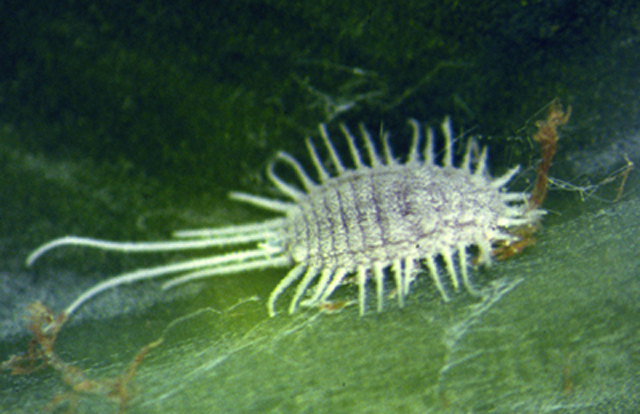 This is the Solanum mealybug, Phenacoccus solani Ferris. Notice the very short waxy filaments around the body, the absence of long tails and the absence of stripes on the body. This species does not produce an egg mass or ovisac. 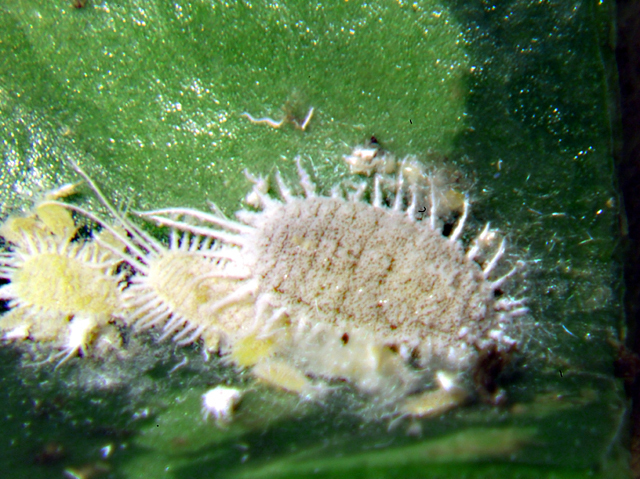 This is the Striped mealybug, Ferrisia virgata (Cockerell). Notice the very long waxy filaments around the body, the long tails and the presence of two stripes on the body. 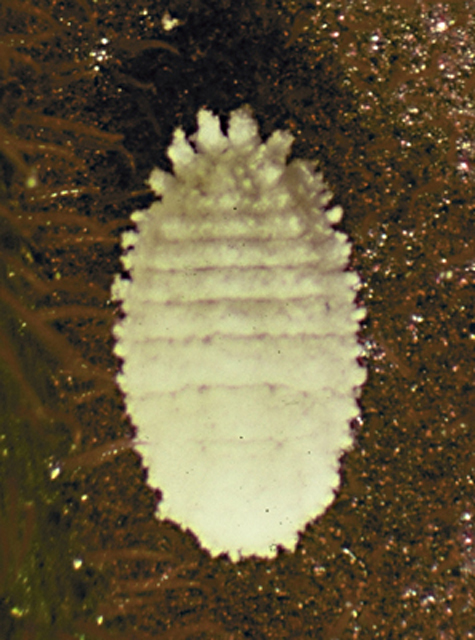 This species does produce an egg mass or ovisac. This is the Solenopsis mealybug, Phenacoccus solenopsis Tinsley. 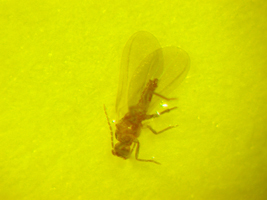 Notice the short to medium sized waxy filaments around the body, absence of long tails and the two dark stripes on either side of the middle “ridge” of the body. This species produces an egg mass or ovisac. Damage caused by the Solenopsis mealybug to hibiscus. 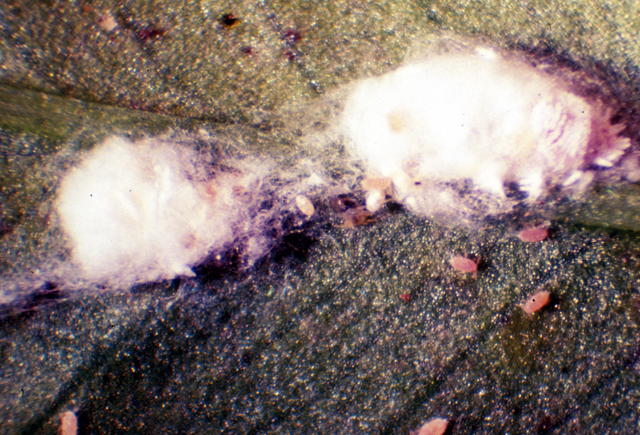 Similar damage is produced by the Pink Hibiscus mealybug. 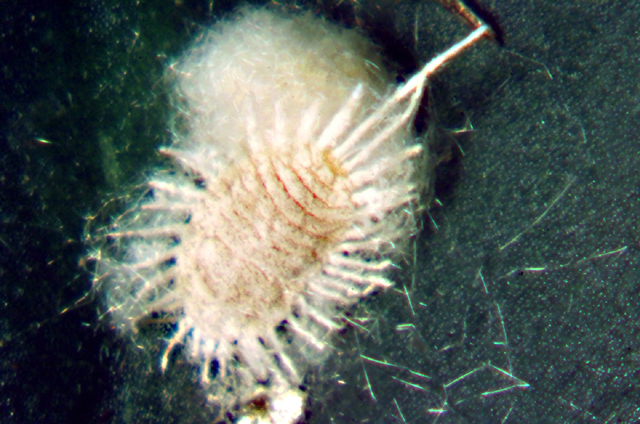 This is the Papaya mealybug, Paracoccus marginatus Willams. Notice the lack of waxy filaments around the body, absence of long tails and no obvious stripes. This species produces an egg mass or ovisac. Body fluid Egg masses with an adult female hidden inside. This is Hypogeococcus pungens (Granara de Willink). This species is one that may be confused for the Pink hibiscus mealybug. The body is pink to red in color. There are no lateral filaments, the body fluid, when the insect is squashed, is pink to reddish brown. One characteristic that might be useful in the separation of the two species is that adult females of this species are VERY concealed in the cottony egg mass. The cottony material must be teased away in order to even see the female. Adults of the Pink hibiscus mealybug are MUCH more conspicuous. Most of the colonies of H. pungens are in the leaf and stem axils. 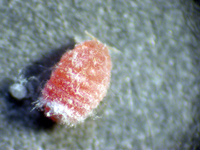 This mealybug is commonly found on Portulaca, Acalypha, and Alternanthera ficoidea R. Br. ex Roum. & Schult. (Josephs Coat). 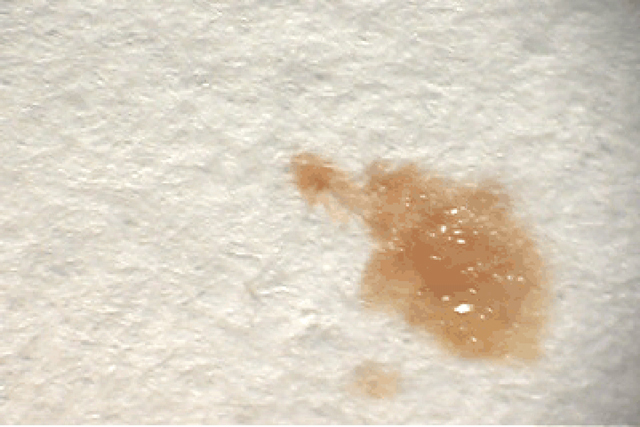 Pink to reddish brown body fluids. 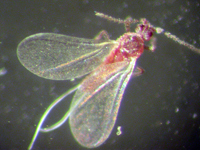 Over the last 10 year, three exotic Palmicultor mealybugs have established in Florida: Palmicultor browni (1995), Palmicultor palmorum (1999), and Palmicultor lumpurensis (2002). 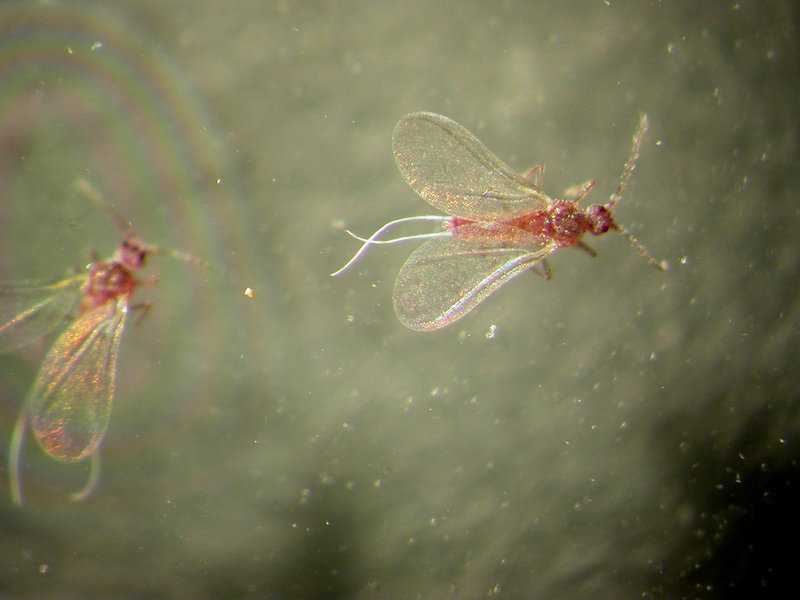 In the field, the red to brown bodies of these species are covered with a fine, white wax. 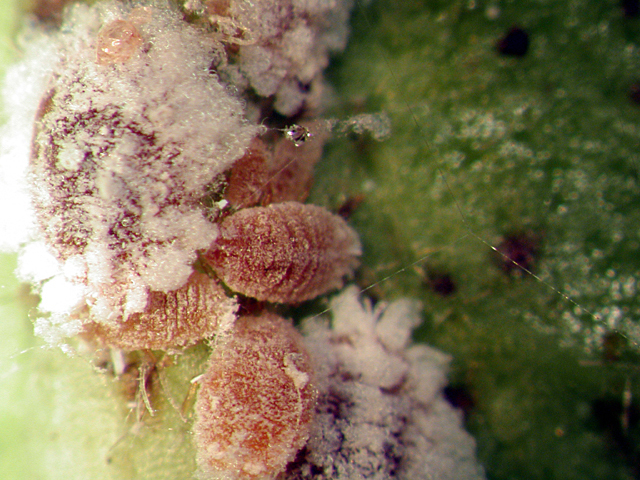 Due to their body coloration, Palmicultor mealybugs may superficially resemble pink hibiscus mealybug. Specimens must be slide-mounted in order to confirm genus and species-level identification. Palmicultor browni and P. palmorum both infest palms, particularly Veitchia spp. 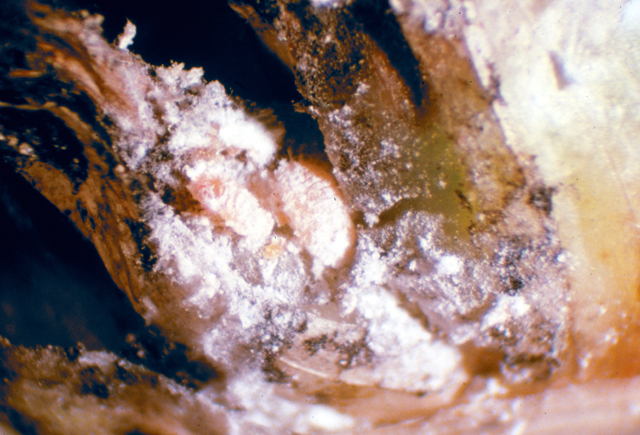 These mealybugs may cause significant dieback in palms. 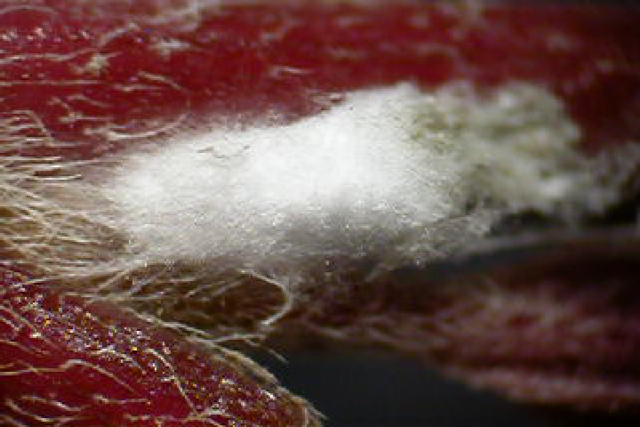 Currently, they are the most commonly collected mealybugs in south Florida palms by FDACS-DPI inspectors. Palmicultor lumpurensis is a pest of bamboo, particularly Arundinaria and Bambusa spp. High populations can result in the abortion of new shoots. 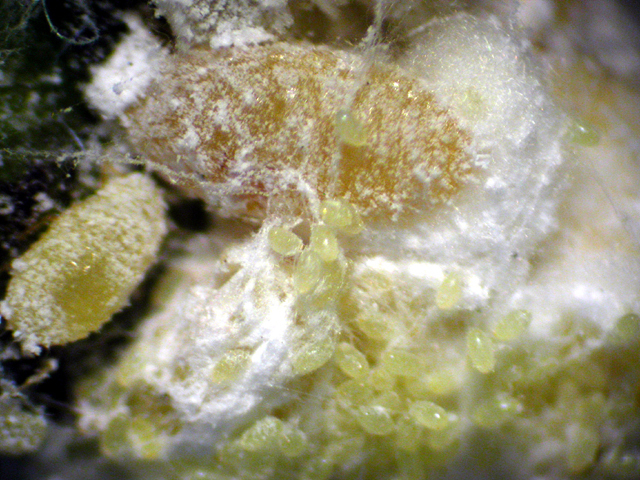 This is the Banana mealybug, Pseudococcus elisae Borchsenius. It has recently been found in the United States. 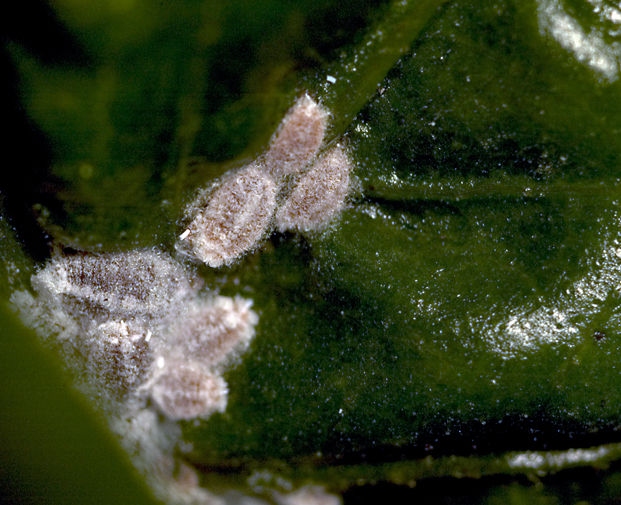 This mealybug has been found infesting Aglaonema plants in Florida. 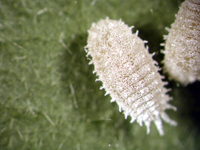 Characteristics for Jack Beardsley mealybug ( Pseudococcus jackbeardsleyi) which is present in Florida and looks very much like the Banana mealybug. 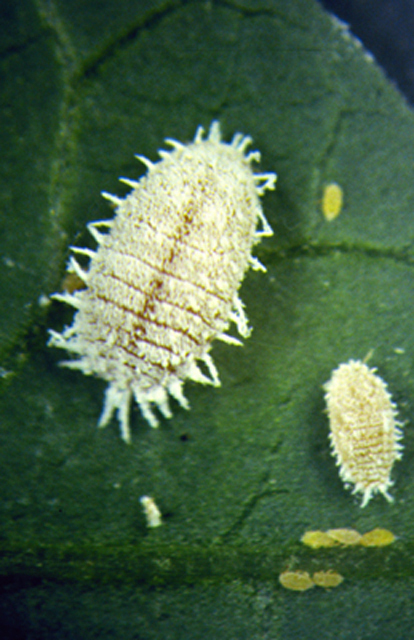 Mealybug colonies contain immature as well as mature females. 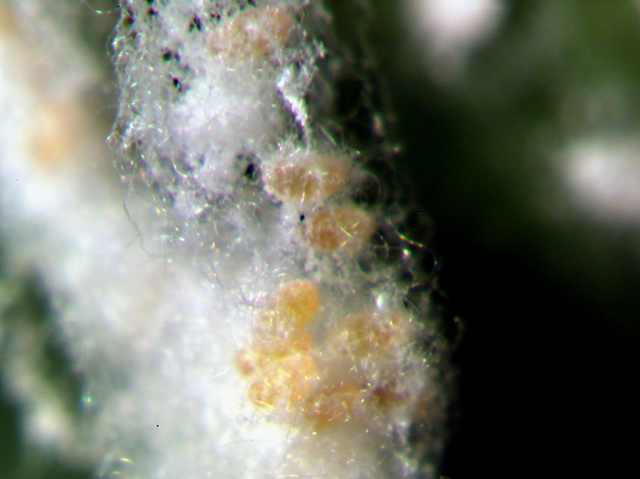 Note that the larger mealybugs are darker in color and covered with significantly more white waxy material. 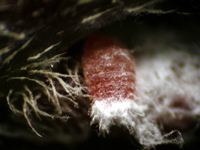 More information on mealybugs can be viewed at "Insect and Related Pests of Flowers and Foliage Plants". Click here! All photos are the property of Lance S. Osborne ( lsosborn@ufl.edu ) and the University of Florida. Please ask permission before using! I would appreciate any comments concerning the content of this page (errors, omissions, etc.). Copyright © 2016 [University of Florida, MREC]. All rights reserved.